DOB: 3/8/14 (Quint) Height: 18 1/2"
Selah is one of our cherished daughters of Ally. She's as sweet as her sisters and just as capacious. The Appraiser seemed to really like her---giving her an 88 as a First Freshener---which, we were thrilled with her score. 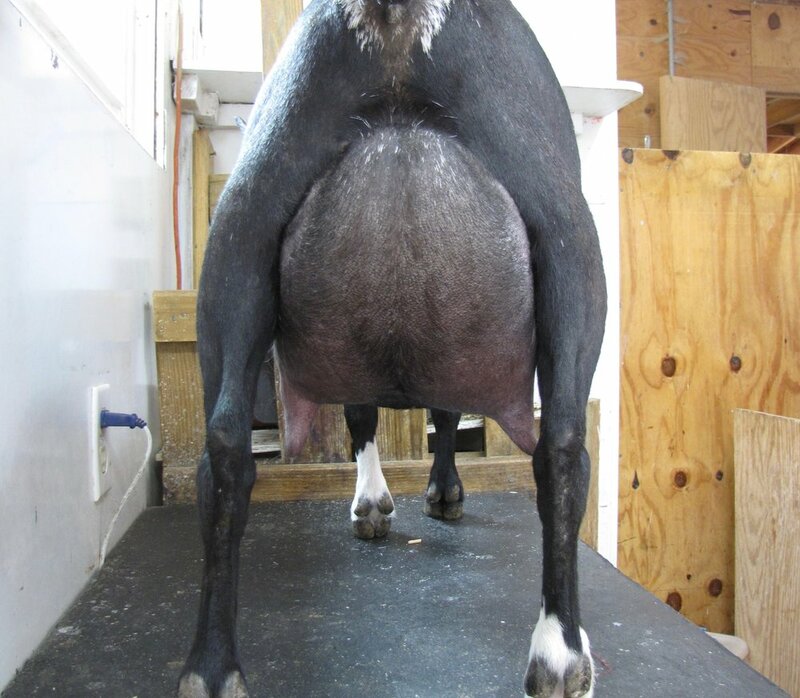 Like her dam, Selah earned an E for Rump and a 35 for Rump Width. Pretty impressive for a doe of her size and something we feel this industry needs. If you'll look at the picture directly below, you can see what a great (and LOUD) mama she is---bc she pretty much screamed the entire day of her 1st Milk Test. She also milk 4.6# that day, and ended up almost making the 1000# club as a FF w 938#.